Geographical location: Halong bay is located in the Northern delta ò Vietnam, a west part of Tonkin bay, includes sea area of Ha Long city, Cam Pha town, and a part of Van Don district island. Cat Ba Island on the South west, mainland on the west with a coastline of 120 km. Ha Long bay has total area of 1553 square kilometers including 1969 different islands, of which 989 named islands and 980 unknown islands. The world heritage area has area of 434 square kilometers including 775 islands, shaped like a triangle with three vertices: Dau Go Island (west), Ba Ham Lake (south) and Cong Tay Island (east). Ha Long bay is a unique heritage because it contains important vestiges during development and formation of the Earth history, a cradle of the ancient Vietnamese residents, and a great shaping artwork of nature with the presence of thousands of diverse islands, with a lot of interesting caves clustered into a both lively and mysterious world. In addition, Ha Long Bay is also a home of high biodiversity with typical eco-systems along with thousands of abundant plant and animal species. 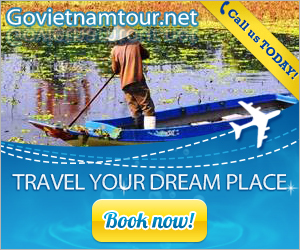 It is also associated with cultural values ​​- the heroic history of the nation. Aesthetic value: Ha Long bay is well-known for wonderful stone islands and caves. Ha Long islands have two forms: limestone islands and schist islands, concentrated in two main areas are the southeast Bai Tu Long Bay and southwestern part of Ha Long Bay. This is the oldest image of the terrain with tectonic age from 250-280 million years. Hundreds of stone islands, each carries different lively shapes: Dau Nguoi island, Dragon island, La Vong island, Sail island, Trong Mai island, Incense Burner island, etc. Hiding in the heart of those islands is wonderful caves associated with magical legends such as Thien Cung cave, Dau Go cave, Sung Sot cave, Trinh Nu cave, Tam Cung cave, etc. Those are really palaces of creator on Earth. 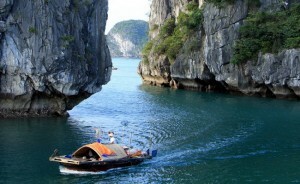 Ha Long has long honored as “land wonder standing in high sky” by national great writer Nguyen Trai. 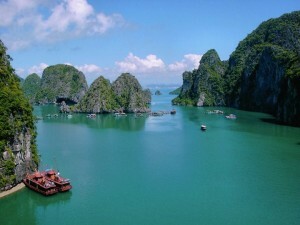 The image of Ha Long Bay with thousands of islands has been compared as countless rubies spouted from dragons. 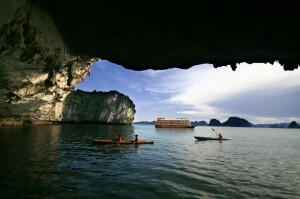 Ha Long Bay was long formed due to tectonic structure. 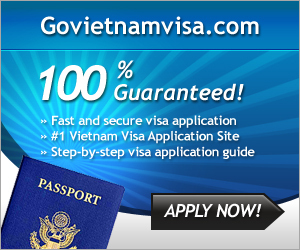 However, in the mind of Vietnamese people from prehistoric period with rustic imagination and the idea of ​​folk root “Dragon’s children, Fairy’s grandchild”. Some fables said that right after establishment, Vietnam was invaded, and then Jade Emperor sent Mother Dragon and her children land down to help the Vietnamese fight against the enemy. Invaders’ boats were rushing to the sea shore when dragons landed down on earth. Dragons immediately spouted fire and burned enemy’s ships and released rubies to erect stone halting the attack of enemy. After the victory, saw peaceful landscapes on the ground, lush plants, diligent, hard working and unity people, Mother Dragon and her children dragons did not return Heaven but stayed on earth, where had occurred the battle to protect Dai Viet generations. The location where Mother Dragon landed called Ha Long; where her child landed is Bai Tu Long and dragon tails thrashed water called Bach Long Vi (now Tra Co Peninsula, with a sandy beach over 15 km long).